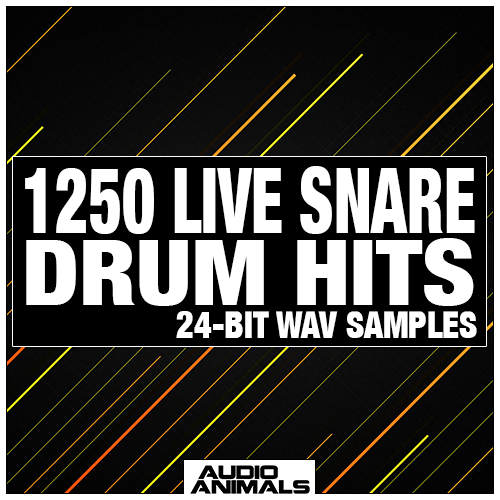 1250 Live Snare Drum Hits is a collection of 1250 varied snare hits recorded in both the studio environment and on location in warehouses, storm drains, bathrooms and industrial rooms. All snares have been recorded live, which results in a wide range of unique snare sounds. Different tones are created every time the snare is struck, due to human nature of hitting the snare at different velocities and positions. In total 11 different snares have been used to record a huge variety of sounds. By using various snare drums we are able to build a more versatile and diverse library of snare hits. Not just the same snare recorded at different velocities and positions. Snares have been recorded with both the snare latch opened and closed. Closed snares achieve a bright sharp snare. Whereas open snare hits achieve a rounder more solid punchy tom like sound.